"I had a delightful stay at 'Say Cheese Guesthouse.' The staf..."
Have a question for Say Cheese Guesthouse? "Near night market, near huahin station." "Proprietor of a hotel and staff very friendly." "Location is very good near night market and train station." "Owner is very nice and will make you feel welcome." Situated in Hua Hin City Center, Say Cheese Guesthouse is the perfect place to experience Hua Hin / Cha-am and its surroundings. Situated only 1. Km from the city center, guests are well located to enjoy the town's attractions and activities. Also within easy reach are See Mor Ice Cream, Hua Hin Night Bazaar Boon Chalern, Pone Kingpetch Monument. 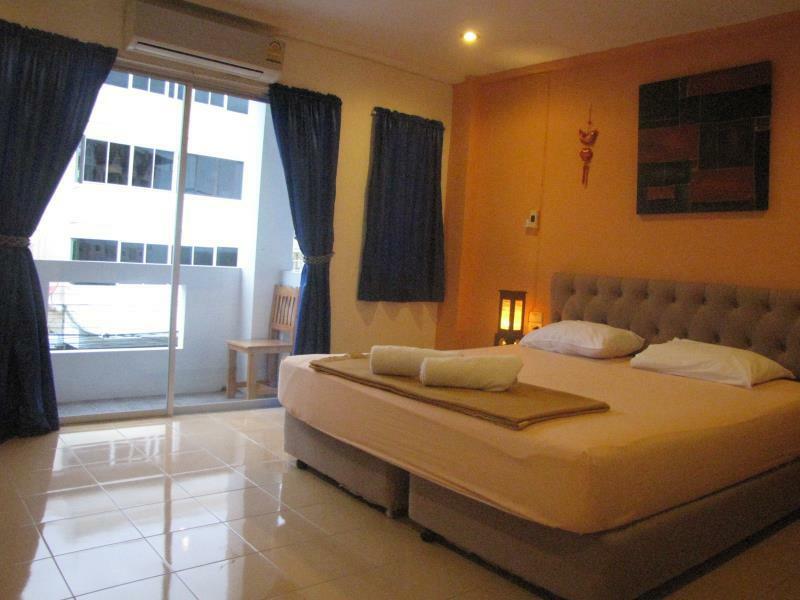 Take advantage of a wealth of unrivaled services and amenities at this Hua Hin / Cha-am hotel. For the comfort and convenience of guests, the hotel offers free Wi-Fi in all rooms, express check-in/check-out, luggage storage, Wi-Fi in public areas, car park. Experience high quality room facilities during your stay here. Some rooms include towels, internet access – wireless, internet access – wireless (complimentary), non smoking rooms, air conditioning, provided to help guests recharge after a long day. Besides, the hotel's host of recreational offerings ensures you have plenty to do during your stay. 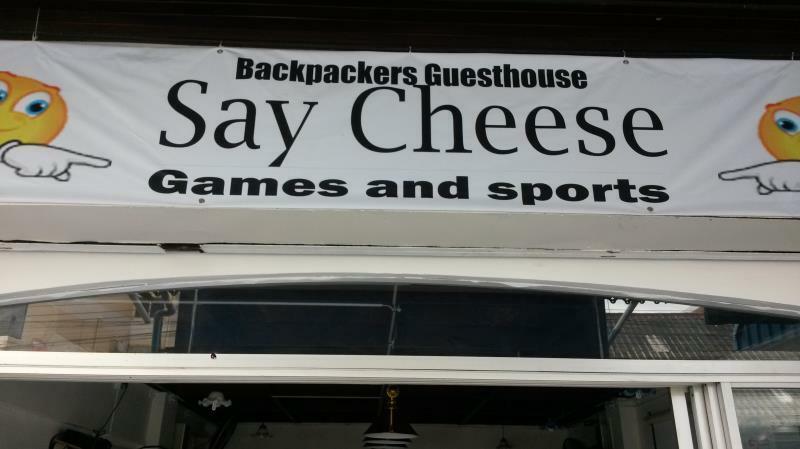 Say Cheese Guesthouse is your one-stop destination for quality hotel accommodations in Hua Hin / Cha-am. Walking distance to station and night market. The location is pretty good and not too far from main points of interest. The biggest plus was the huge room & facilities (kettle, TV, refrigerator, balcony). The staff was nice too (daily room cleaning which is not common in Thailand). The wifi was quite average (had to switch between networks often) and the biggest downside was cleanliness (our room could have ceilings/walls cleaned as there were remains of insects everywhere, the balcony was very dusty & the shower's drainage smelled bad). Still - a good value for money and good for budget travellers. I would say everything is very good! Nothing to say much, We paid only MYR 65 per night and it was a very nice experience! The owner from Holland and he is very friendly and helpful! The room and bed is huge and the hostel look new and very clean! It currently undergoing renovation and definately will getting nicer soon! Definately will saty here again ! We arrive at Hua Hin by train from Malaysia at630am, its only take within 10mi. For us walk to guest house from the train station, but unfortunately the guest house no open 24 hours, it was close when we arrive there , and the number given by Agoda failed to reach the guest hose owner. With sufficient action have take by agoda, the owner open the door for us, we just wait for around 15min.thanks to them , we allow check in early, so that we can leave our backpack in the room. According to the guy who check in us, our room just have some repairing work the day , if i not mistaken it was about an air-cond repairing, so the floor was very dirty and messy. He promise that the cleaner will clean it around 10am. But when i go back to the room at 4pm, the floor still remain unclean. I have message the guy about this hoping that he ca clean it for us. But I was disappointed at the end, as when i go back at 10pm after the night market, the room condition still the same. I didn't make any complain as its was late already, and we just stay for one night. Just forget about this and we are so tire to wait for cleaning. Beside this, the guest house actually situated in a good location, in the town center,near to famous Hua Hin night market, Hua Hin beach, 7-11 convenient shop, bua and van counter to Bangkok, and train-station as well. How wonderful if they have clean the room for us, we will have a pleasant stay, this minor mistake make us feel imperfect, and leave a bad impression- no take serious about the cleanliness and no serious about the promise you make to your guest. The room, restaurant and bar are ok. If Wi-Fi does not work in the room, do not expect the owner to solve the problem, he does not care. I came with my husband, even I wrongly put my arrival time at 5-6am, which I arrived at 6pm but Met gave me a reply through email and greet me well once I reached with a very warm welcome and short and sweet description about Hua Hin. It was walking distance to Halal food ( as I am muslim) , the popular night market, train station, and also the beach. This guesthouse also offers bike rental at lower rate compare to others. I am falling in love with Hua Hin and definitely will repeat a trip there and stay at this guest house. Good value for the price. However, don't expect excellent service or facility. When I stayed there were 2 people in the dorm, so the cleanliness was (almost ) OK, except for a dead cockroach at the bottom of the stair the whole time. Cannot imagine if the dorm is full with 10 people sharing 1 bathroom. From what I paid. It was over my expectation. The room is located in an another building to the right from the bar. Staff: The Dutch owner was friendly and also Thai staff. Room mate: I checked in on Sunday and stay alone. So I missed 2 travelers, one from German and another one from Poland. (We had few conversations and it was sad that I can't join them for dinner.) 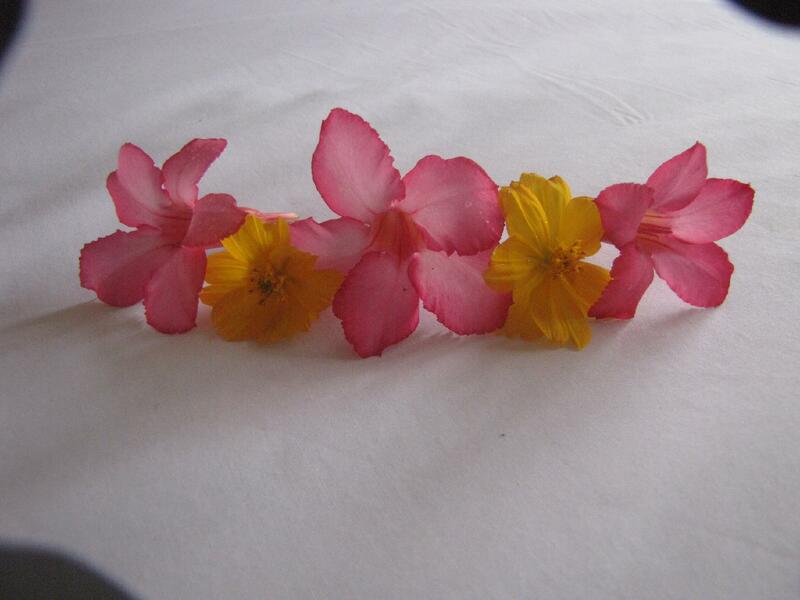 Bed: Soft and smell nice. (It reminded me of a blanket on the train haha.) They provide a bottle of water and a towel. There is a fan on top of each bed, two 2-blades slots and a wall lamb. There are green curtains which some sides are belong to another bed. Room: Room C. Quite clean. Some parts of the wall might not clean but the bed is clean. If you sense the sand on the floor it might cause by someone like me. My apologies. Bathroom: Quite clean. No hot shower. There are thin bar of soaps and a roll of toilet paper. Wifi: I didn't check it but there is a paper with the password on the wall in front of the door. Facility: There are a pool table, darts, board game and more. Location: Close to the night market, train station and the Hua Hin beach. Great Location, not too far from the train station. The safe in the room is lock and the given instruction is in Thai, so we can't figure out how to use it. They said got wifi in the room area but we are not able to log in. Its a bit painful when we need to carry the luggage up and down the stairs but generally is a good stay and value for money. The boss is very friendly! The guesthouse owner is friendly and helpful, provides motorcycle rental with 200 Baht per day. The room is spacious with big balcony, and all the facilities needed. Wifi signal is very good as the modem just outside our room. Didn't have our meals at the guesthouse, therefore I only rate the score 2. Near to night market and bus stop, only 2 mins by walking. Easy to find food stalls and massage. One of the Thai Massage parlor on the way to night market, which located at the road side, only charged for 170 Baht per hour! It's the cheapest price that we ever paid in Thailand (Phuket, Bangkok, Pattaya and Hua Hin) Overall, Say Cheese is better than other guesthouses that we ever stayed before. Ideal for budget travelers and you won't regret to pick it up! Excellent Location. Friendly staff. Good Price. Located in a quiet side street only 3 -5 minutes walk from the Railway station. Excellent good sized double room with all the usual amenities AND an electric JUG as a bonus!! In the room ! It has a Dutch theme from the very friendly owner , rental bikes for a decent price and Night market just down the street. A great place to stay on a budget. I stayed at Say Cheese Guesthouse it was clean room big size I only had a fan no elevator,but with in walking distant to just about everything good public transport and only THB10.A Swiss guy owen's it and run's it he is really great helpful and friendly wished I could of stayed longer would stay again. 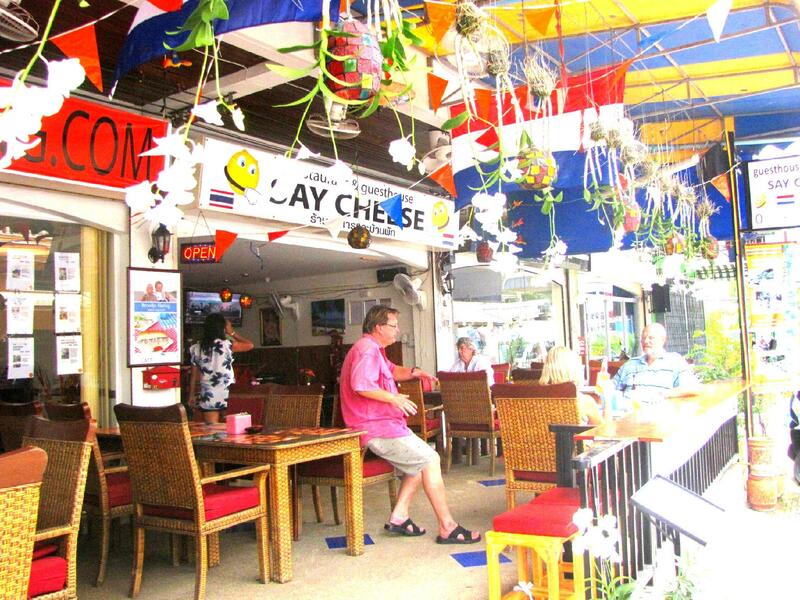 Say Cheese is a great place to stay in Hua Hin. The night market is just 1 block away, there are many good places to eat nearby, the beach is a 10-15 minute walk away. Very friendly service from the owners and staff; owner took the time to mark up a map with things to see and do in town. My room was huge, very quiet, excellent sleep quality. No a/c but the fan was good enough. The kitchen prepares western style food. Would definitely recommend this guesthouse as a budget option in Hua Hin and I would encourage owners and staff to keep up the good work.